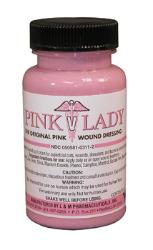 An FDA approved topical wound dressing for treatment of minor and major cuts, scrapes, burns, and abrasions. Promotes fast healing from inside out and hair growth with minimum scaring. Repels flies on wounds. For Use On dogs and horses.